The VL150 SM EVS provides excellent performance with up to 150% torque on low RPM, spindle speeds from 30-3460 rpm and a powerful 0.75kW Motor. 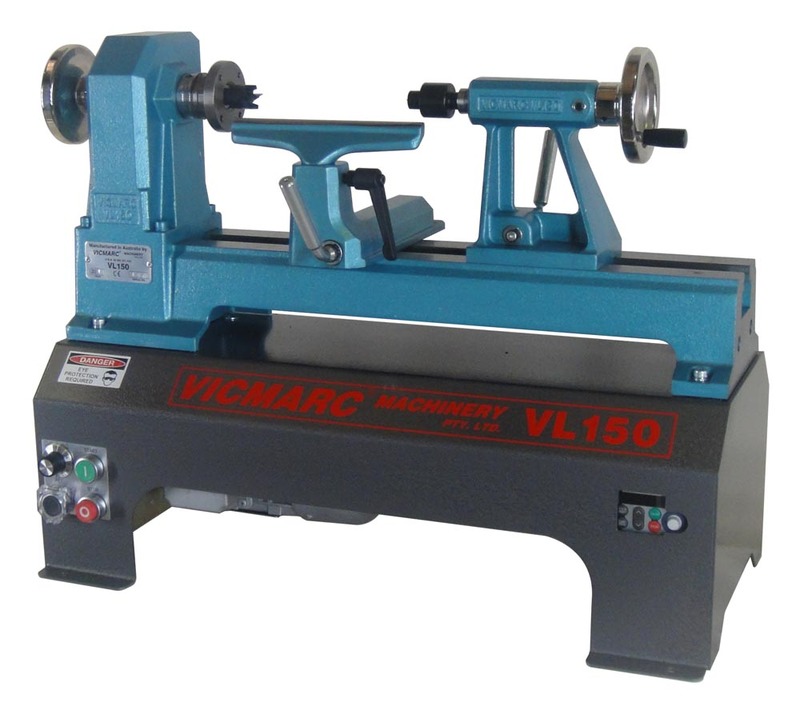 First to introduce MT2, and taper roller bearings on this size lathe The Vicmarc mini lathe is in a class of its own when compared to other mini lathes on the market. Vicmarc is clearly the mini lathe of choice. The best value feature-by-feature of any mini lathe sold in the world. This lathe is made to last a lifetime. optional bolt on extension facility. Pictured to the right is the VL150 SM EVS mounted on the Full Working Height Stand. This stand is an optional extra for the VL150. It gives a work height (from floor to centre of the spindle) of 1100mm. The foot print of this stand is 600mm Wide x 700mm Long.